“You will seek me and find me. When you seek me with all your heart, I will be found by you, declares the lord” (Jer. 29:13–14). Our next model of faith from church history is the French theologian and reformer John Calvin. Perhaps no other figure from church history has been as misrepresented and maligned as this man who is often regarded in popular culture as dour, rigid, and mean-spirited. However, as we shall see, nothing could be further from the truth. John Calvin was born in 1509 in Noyon, France, the son of an official who worked for the Cathedral church there. At fourteen he entered the University of Paris in order to study Latin, but his track towards the Catholic priesthood was soon steered toward a degree in law after his father had a falling out with church authorities. Calvin wrote very little about himself and so the exact details of his early life are sometimes sketchy. We do know, however, that sometime between the years 1528–1532 he was converted to Christ and wholeheartedly embraced the doctrines that Protestants were emphasizing. In fact, not long after his conversion, Calvin was forced to leave Paris when university authorities discovered that he had helped compose a sermon that preached Reformation theology. Calvin fled to Switzerland where he spent two years studying Hebrew and mastering the works of Augustine. He attempted to settle in the city of Strasbourg but was convinced by the leaders of Geneva to stay there and help reform the city that, at the time, was a city notorious for scandal and licentiousness. Calvin would remain in Geneva for the rest of his life, except for a brief exile, preaching and teaching and helping to promulgate biblical doctrine. Calvin was widely regarded for his kindness and friendliness. He remained quite shy his entire life, preferring the role of a scholar to that of an administrator. His commentaries on nearly the entire Bible remain a model of sound exegesis and practical, theological application, benefitting the church even today. 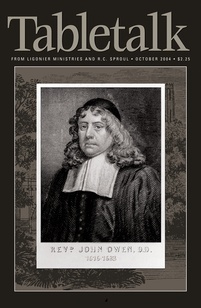 His Institutes of the Christian Religion is perhaps the finest systematic theology ever produced. Today’s passage alludes to the motto of Calvin: “I offer my heart to thee O Lord, promptly and sincerely.” Calvin knew that God desires the offering of our whole being to Him in gratitude for our great salvation, and he endeavored to live his life accordingly. He died in 1564. Once God has sovereignly transformed our heart, our goal must be to offer it back to Him both promptly and sincerely. Take some time to examine yourself for any insincerity on your part towards the Lord. In prayer, ask Him to help you always be sincere in your relationship with Him and offer up your heart to Him today.